Rest easy. After a busy day away from home, the last things you want to worry about are an uncooperative playard and a fussy tot. 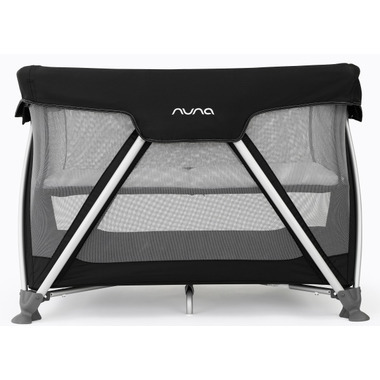 The chic Nuna SENA - thanks to the clever zigzag leg design - pops open easily into a soft, sturdy dreamland, and then refolds with just one hand for a quick getaway the next morning. The Sena series belongs to a Dutch-designed family of smart baby gear, so you know its revolutionary design is also evolutionary: growing beyond newborn through toddler-hood, and even doubling as a play space. Let the traveling begin. Playard: for children unable to climb out unassisted, up to 30 lbs and less than 35" tall. 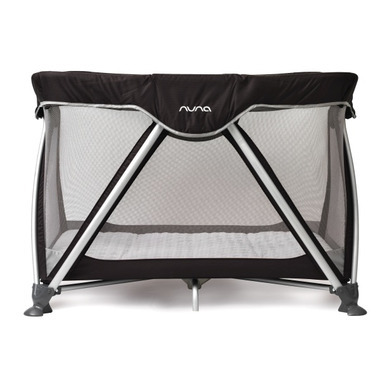 Bassinet: for babies unable to push up onto their hands and knees, up to 15 lbs. The chicest design for pack and plays. It's nice that it can be both a bassinet or a playpen. It's very easy to assemble and disassemble. The only thing is it's very heavy. Easy to open, I bought it for this reason and I'm not disappointed, plus it looks very chic. -the mattress pad is made of nice material. Very simple to open and close. We have owned other baby play pens and this is by far the easiest to use. Durable and sturdy.